Hello everyone! Sorry for the MIA status here on my blog! I neglect it - and I need to pay more attention! HA! If you are reading this, I appreciate you stopping in to see my latest card I've made. Usually I have a video tutorial on this one, but for today, I do not. Maybe I will later on, but I knew this card would take me a while to make. I had a vision in my head, but didn't know for sure how it would turn out. I think for the most part, it turned out like I intended!! 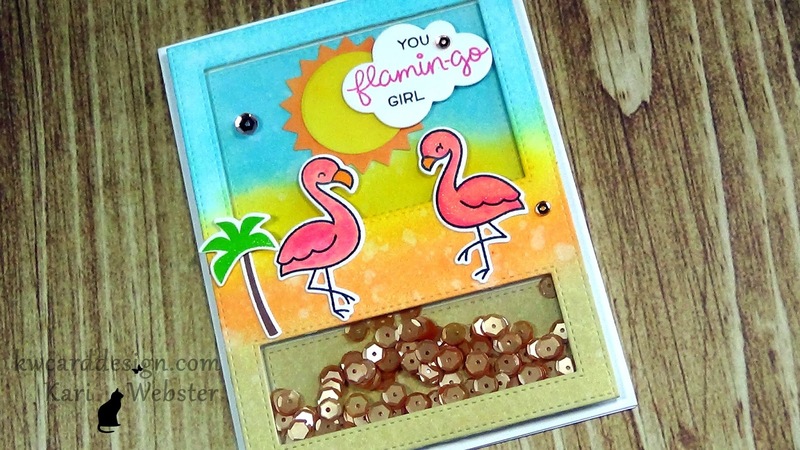 I used the new set from Lawn Fawn called Flamingo Together! Such a fun set to play with. 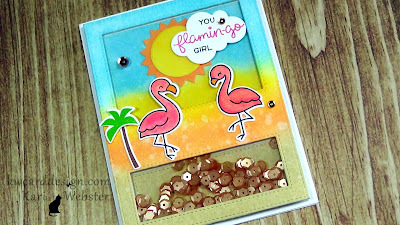 Once I go going, I couldn't stop creating this summer filled card with all of the summery colors, and images. I used Distress Inks to create the background on my frame and the cut out pieces. 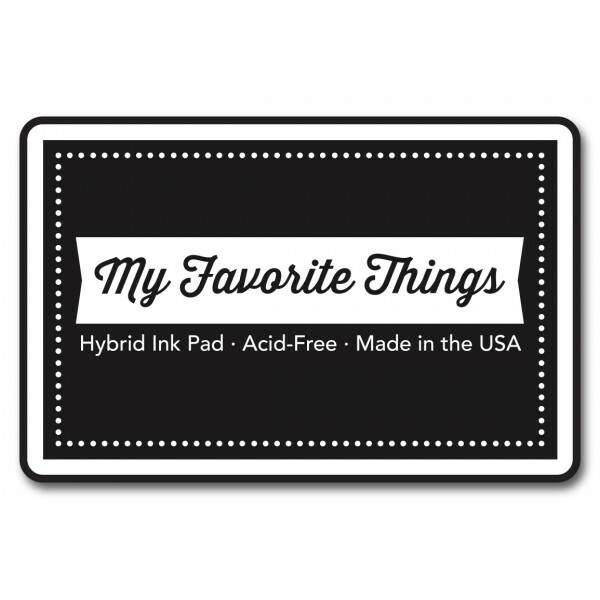 For my images, I colored them in with Copics, or I used Lawn Fawn Ink to stamp them out! All the supplies used are listed below!! School is out, and summer is upon us. Hope you have fun plans in store!! See you soon! Happy Sunday - hope all of you had a nice weekend, and here in the states, hope all the mother's out there had a nice Mother's Day!! Today I wanted to share my card using the adorable set from Mama Elephant called Pix's Favorites. These bunnies are so adorable. You can go wrong with any of them!! I did some simple Copic Coloring - these images are very easy to color! 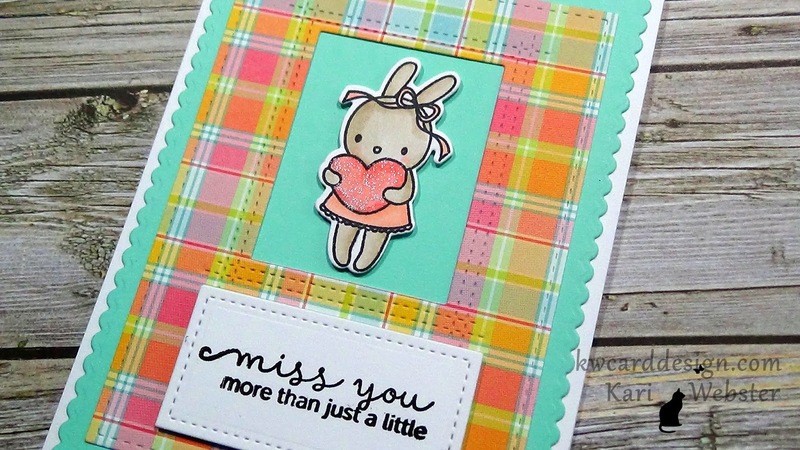 I also used the much loved Perfectly Plaid 6x6 papers from Lawn Fawn. These plaid papers put a smile on my face!! 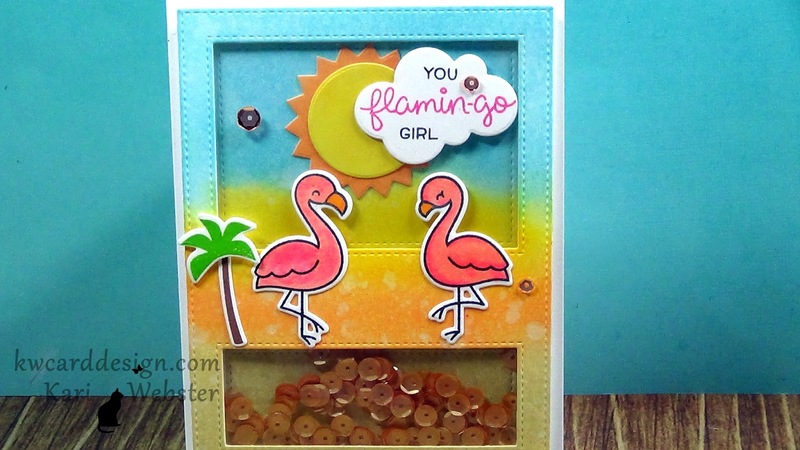 Below is the video tutorial on how I put this card together!! I hope you enjoy! !